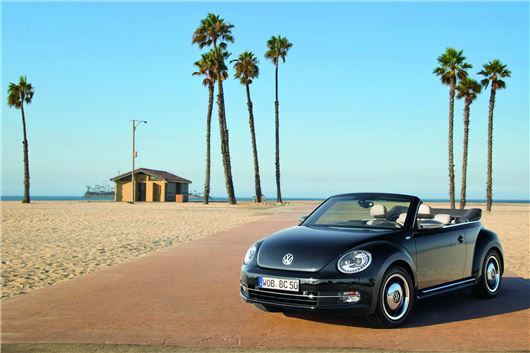 I own a 2014 VW Beetle convertible, but unfortunately I have been unable to enjoy fully this summer. The regulator has failed in the back passenger side window, meaning that the roof mechanism will not operate. I contacted my local VW dealer in order to obtain a quote for a repair. I was advised that both back windows would need to be repaired at the same time, and that the replacement would need to include the regulator and control panel. The reason given for this was the operating system wouldn't work with one new and one old. The cost was casually given as £1,300. I asked to be given time, once I had picked myself up off the floor, to consider the quote. I subsequently researched the problem and contacted a local VW specialist to obtain his view. He confirmed that the control panel would need replacing along with the regulator, as both parts have been superseded indicating a known problem with the original fitting. In fact, he had been approached the same day by a gentleman with exactly the same problem in another 2014 Beetle convertible. The specialist checked availability of parts, and was advised that the parts required were on back order, meaning that either lots of VW Beetles are having the same issue, or VW has withdrawn the parts in order to supersede the superseded parts. I am having quite an adventure with my Beetle. Not only have I gone through the emissions scandal that hit VW owners, I am now hit by a known issue. The dealer denied any known issue with the windows, despite a simple Google search bringing up a number of forums discussing exactly this subject. I am intrigued to receive your reply. All a VW dealer will ever do is replace parts, never repair them. It could be that a big specialist such as https://www.bristolsunroofs.co.uk/ can repair the failed regulator, or Googling <car sunroof repairs> can find someone more local, or using http://www.yell.com to find a local <car electrical specialist> can find someone. Or even, if you live in the country, an agricultural machine repair specialist can fix it because convertible roof mechanisms, hydraulics and electrics are similar to agricultural machines. I have a 2010 VW Polo 1.4TSI 7-speed DSG. The car was bought from a VW dealer with 20,000 miles in 2013. It had a service agreement and has been regularly serviced by a VW dealer. At 38,000 miles it had a major service. Someone recently asked did the car have a gearbox / clutch oil change at about 40,000 miles, but looking at invoices I can see no reference to it being required or advised. The car had a power loss about 9 months ago. I took it in and they said they could not find anything, but just keep an eye on it. My son had reported the power loss to me and said it happened very suddenly and it was scary. It’s hard to comprehend as I was not in the car and I thought he was dramatizing it a bit. However, last week it happened to me when I was driving. Fortunately I was in a quite road going about 30mph when the power went. It seemed to drop from 30 to 5 mph in about 3 seconds. As it happened so quickly I thought either I had run out of petrol or the engine had seized (I used to do karting and had experience of that happening). The VW dealer said it’s the Mechatronics unit and quoted me £1,700. Before this the car was worth around £4,500 - £5,000. It has 55,000 on the clock, it’s eight years old. It’s a third car which I own as my others are BMWs. The VW dealer said he spoke to VW to ask for a contribution and they said no. So I called call VW who said they could get the VW dealer to contribute £275 to the bill. From your articles it appears that there is possibly an inherent defect with the Mechatronics, which should be dealt with, even though the car is beyond the normal warranty period. Can you say whether this model was known to have problems in the period 2010 - 2012 which a few people have said it has had? Please can you help? I asked Jessica and she referred me to you. I purchased a Vauxhall Mokka Turbo X 1.4T 4WD from Bristol Street Motors in June 2017, paying £18,689, mostly on finance. I told the dealer I needed if for going over the tops from Sutton in Craven to Haworth everyday in whatever the weather, wind, hail, snow or sunshine. He confirmed he knew the roads I was talking about and told me with the traction control this car would work in all weather conditions. I was assured this car would do the job. On December 8th 2017 the car got stuck on 3 occasions driving to school not even on hills. In response to my complaint, Bristol Street Motors and Vauxhall told me either to trade the car in or fit snow tyres. Hopefully you can see my dilemma. If I trade in I will loose a lot of money. If I wanted snow tyres I would have put them on my old car and not committed to paying finance for a new car that has been sold to me and isn't fit for the purpose it was bought. This is a case of a member of the public who knows absolutely nothing about cars being misled about the capability of four-wheel drive. It is, in fact, only any use in snow if coupled with 'cold-weather' or 'all-weather' tyres. These tyres have a series of small cuts called 'sipes' that pick up snow on the ground and use to give traction by snow against snow. If you can get a Small Claims judge to believe the conversation you had with the salesman, then the remedy is, at no cost to you, for the dealer to retro-fit a set of all weather tyres to the car so that it will actually have capability in snow. There is no point in attempting to reject the car because you're talking about considerably more than the £10,000 Small Claims limit, and to claim 75% of what you paid for the car would mean full County Court and enormous expense. If the dealer refuses to fit a set of all-weather tyres, what I would do is have a set fitted before next winter then use Small Claims to sue the dealer for the cost of them. My son and his partner have a two year old and are expecting a new baby in September. Neither of them are car enthusiasts and don’t know where to start. They don’t need a car to commute but want to be able to get around without the hassle of public transport, which is limiting. They have mentioned leasing and PCP but I am trying to persuade them to buy a second hand car outright (they have a limited budget which will mostly be funded by yours truly: let’s say up to £5000). I don’t see the point in leasing: spending hundreds per month on something that is never going to be theirs. I’ve always thought of PCP in the context of new cars, and they won’t be buying new. My advice is to find a reliable small super mini to buy outright. I have recommended a KIA Picanto as a friend of mine has a couple and knows his stuff and recommends them. He has the older models is 6ft plus and is comfortable in them. I think we could pick up a suitable newer model for up to £5k. My only reservation is bootspace as they will have a buggy and other bits and pieces. What do you think to my logic and do you recommend anything else given their circumstances and the boot space issue please? A Picanto or an i10 simply isn't going to be big enough. They won't take a buggy in the back. Probably better to think Jazz or Yaris. Jazz are outstandingly commodious. Just avoid the 2008 - 2011 Jazz i-shift. That autobox was terrible. Go for a manual or a 2011 or later CVT-7 (if it comes within budget). On the subject of fuel I can relate that I purchased a 2004 VW Touareg 2.5 TDi in 2006. It was one of the rare manuals. It has been the best car I have owned. Until about 2010 I ran it on supermarket diesel. Then I noticed in your column how you kept stating that the more expensive fuel is better for the engine, so switched to that. In around 2012, we were returning from the West and, on the flat below Birdlip Hill I always pushed the car because the hill is steep and, without a decent run at it, the car tended to run out of steam. Half way up the hill is a roundabout. We went round that and began to push it up the next bit when I noticed a cloud of grey smoke from the rear of the car. It went into "limp home mode" for a short distance and, fortunately, the traffic in front slowed, so I was able to keep up. As the traffic began to speed up I gently pushed the accelerator (with my heart in my mouth) and the car quietly speeded up and from then on was a much smoother drive. My VW mechanic reckoned that the higher speed and use of the expensive fuel had loosened a lump of carbon from the turbo and blown it out of the back. I am still running that car. It has done just under 150,000 miles. The detergent in the Super will have cleaned up a general accumulation of carbon from the low grade fuel. It should now continue to run better with more torque at low revs. If you use that to change up earlier you’ll get slightly better fuel economy. I have a LandRover ‘Landmark’ Discovery, still under Warranty. Early in April I had an a minor disagreement with a barrier at a fuel station which resulted in ordering a replacement rear offside door. Delivery promise of the door, from then on, went from promise to promise until last week when I appealed to LandRover Customer Service for a positive result. Having been given a case number: 8000550945, I received a call on 6th.June from the case-manager to advise me that they anticipated a delivery around 11th.June. Yesterday, 9th June, I received another call from the Case Manager, who advised me that, regrettably, LandRover was unable to give me any delivery date. No date at all. Manufacture of the door was not predicted in the foreseeable future. How can this be legal with a vehicle still under warranty? That's plainly ridiculous. But I can't help. I asked LandRover's head of PR for an answer to a technical question in May and, despite two reminders (which he responded to), he still hasn't come up with the information. It's like blundering into a fogbank. I wrote to you in August 2017 with a question about the oil dilution problem affecting Land Rover SUVs fitted with transverse Ingenium engines, such as the Discovery Sport and Range Rover Evoque. A friend of mine decided to keep her Disco Sport, despite it needing three times as many oil services as advertised in the brochure. So far, the additional servicing work has been done free as a goodwill gesture, but another owner was told recently by his dealer that these extra oil changes will not be done automatically once the warranty expires. It was always assumed that owners with a Service Plan would get the additional oil changes until at least 50,000 miles, or 5 years, but now it seems that all owners will be in the same boat. This policy seems to have been confirmed in writing by the Customer Experience Centre who have been quoted: "As a Service Plan has been taken out on your vehicle, any oil and filter changes that are required on your vehicle prior to a service will be covered free of charge as a goodwill gesture, providing your vehicle is within its 3 year manufacturer’s warranty. Outside of the manufacturers warranty this would need to be assessed on a case by case basis.” (https://www.discosportforums.co.uk/viewtopic.php?f=17&t=5379&sid=b6de29a433af88fc1846f1ae6f056fc7&start=2350#p91749) My friend is seriously concerned about the implications because in her case the dealer was always reluctant to perform the free services and it was only after I gave her a copy of the JLR Service Notification and encouraged her to push them harder for assistance that they finally agreed to change the oil. There are plenty of similar stories like this on the Internet, so if the oil changes cease to be an automatic entitlement and have to be argued over every time the indicator suggests it, this will become extremely difficult for a lot of owners who prefer to avoid conflict with car dealers. It doesn't seem as though JLR is ever going to do anything to fix the underlying problem with the exhaust system now, therefore it's looking as though the early services have now become a permanent fixture. The extended warranty doesn't appear to be an option either: a quick look at the small print today revealed a list of exclusions including (surprise-surprise) "DPF replacement", "pre-existing faults" and "service/maintenance operations, replacement of oils and filters". I rejected my Discovery Sport as soon as I understood the nature of the fault, but what is the best course of action today for someone who originally planned to keep one of these cars for 5 or 6 years and didn't see this coming? The car cost £42,000 new and it is a 2017 66-Reg HSE 178HP Auto with 17,000 miles. The only offer on the table is £27,750 trade-in against a new Petrol Disco Sport. Should she just cut her losses? Firstly, every vehicle engine needs an oil and filter change at least every year or every 10,000 miles whatever the manufacturer may say. If you refuse to take that on board then don't write to me complaining. Secondly, the problem you describe is a known problem that is the direct result of the car being driven short distances for which it is not suited and having its engine switched off mid-active regeneration. The fundamental issue is that the transverse installation of the Ingenium diesel engine in the old Freelander II floorpan (shared by the Evoque, Disco Sport and E-Pace) did not originally allow for a close-coupled DPF. Consequently, the DPF had to be situated under the car where, unless the car is driven significant distances, it cannot passively regenerate. As a result, it has to actively regenerate more frequently, using post-injected diesel passing through the engine to fire off in the DPF, burning off the collected soot. If the engine is switched off mid-active regen, then the post-injected diesel sinks into the sump, contaminating the lube oil and necessitating more frequent oil and filter changes. Everyone with a brain who reads the forums you have linked to knows this very well, so if this owner is continuing to switch her engine off mid-active regen, she has either bought the wrong car for her type of use or is using it incorrectly. I continue to tackle JLR about the issue and in May 2018 Land Rover issued a statement: "As part of the continual enhancement of Land Rover vehicle lines, all Discovery Sport powertrains including petrols are now equipped with particulate filters to make them even cleaner. The efficient, close-coupled filters are neatly integrated into the after treatment system and trap soot as the exhaust gas passes through them. Under normal driving conditions, the trapped soot will be oxidised into CO2 and the filter regenerated whenever the driver lifts off the accelerator." This will be to meet EU6d TEMP / WLTP emissions regs from 1st September, but if the DPF of the Ingenium diesel engine is now "close coupled", that is a fundamental design change that should eliminate the excessive DPF active regeneration and potential oil contamination issues with the Ingenium diesel engine. I immediately emailed the head of PR for LandRover asking for clarification. Did this only apply to the PPF, or had the exhaust system for the Ingenium diesels been revised as well? He emailed back that he would find out. I emailed him again week and he replied that he is still waiting for an answer. I’m still waiting, so assume that nothing was done to the Ingenium diesel DPF and it remains under the car where it always was. "Everyone with a brain who reads the forums you have linked to knows this very well...."
Problem is that most SUVs to return acceptable mpg, are diesel. And most of the SUVs are used for school run or other short trips. A fatal combination. When I decided for my CX5, the only reason for choose a diesel is because, at the time, a petrol automatic wasn't available. But to minimize the problems, my shortest trips are 10-12 miles, always drive until the regeneration finishes, and using only Shell V-Power. A lot of requirements, right? Well, that's the price for driving a diesel nowdays. And for someone driving less than 10-12k miles per years, a heavy 2.0 or 3.0 diesel won't be much more cheaper than a 2.0 petrol mid-sized vehicle. If instead my £40 weekly fuel bill I had to spend £60, an extra £1000 per year still reasonable, considering the maintenance costs and the inicial price. So if someone buys a huge SUV, diesel, just to drive down 2 blocks to Waitrose or the School. too bad. You have more money than common sense. I agree but the problem is that most people don’t have a clue what the difference is between a petrol and diesel engine apart from you have to use different pump and never read any instructions. They may know you get better mpg from a diesel but that’s about it. All they know about a particular car for sale is what the salesman told them. How many salesman on commission and incentives are going to tell a customer to buy a cheaper petrol version when they can make more on a diesel. Nevermind when they have a forecourt full of diesels that nobody wants to buy since diesel-gate. In summary many manufacturers have failed to make reliable Diesel engines that meet the later emissions legislation and dealers are lying to customers about their suitability. That isn't always the case. It depends on the engine, the engine oil and the way the car is used. Some cars might need to have an oil change every 6 months/5,000 miles. Some cars might manage 20,000 miles/24 months before an oil change is needed. 'Firstly, every vehicle engine needs an oil and filter change at least every year or every 10,000 miles whatever the manufacturer may say.' That isn't always the case. It depends on the engine, the engine oil and the way the car is used. Some cars might need to have an oil change every 6 months/5,000 miles. Some cars might manage 20,000 miles/24 months before an oil change is needed. He said AT LEADT ..(I.e) minimum requirements.. Therefore these may have to be more frequent but not less..
For a modern car, other than a supercar, will not need a service at less than 10k miles or 1 year. I can understand that for some cars that are well over 20 years old (I remember looking at a mid 90s petrol Civic that required services every 6k/1yr min. If I was doing a LOT of driving - say over 40k miles pa, even in a diesel and mkost of it motorway miles, I would, if it were my own car, seriously consider at least getting the oil and filter changed every 5-6k in between 'normal' service intervals, just to keep the car in tip-top condition. In the grand scheme of things, an intermediate oil change, even in the UK where its relatively expensive compared to North America and more affluent parts of Asia, is well worth it for well-used cars or high-end/rare ones you want to keep long term - they'll give far less trouble (assuming they don't rot [eventually]) if you do. That's why, despite many of their cars being of poor quality (IMHO) many US-designed and built cars regularly run to several 000k miles no problem. Much cheaper to keep them well oiled with quality stuff than have to suddenly fork out £5k - £20k for a new or reconditioned engine for your beloved motor. This is not just short journeys. Google "JLRP00100" to locate a download of JLR's own SCN document. Or use this link on page 22 of a very long thread on the subject in the owners forum. Doors all fin - this is ridiculous for such a new model. Is the doorskin available separately? Is there a similar/superceded/superceding part number which could be used - often part numbers change with very little real difference, eg a hole being moved, which a good bodyshop could adapt. What about a door off a frontal damaged/salvage car - ideally the same colour - could be a cheaper repair. Sounds like the dealer is incompetent/not trying hard enough. Possibly a good reason to have a Toyota next time - in my experience their parts are available for years after production ceases. Do any cars have a dpf regeneration warning? My 2014 Peugeot 508 sw rxh which is diesel /hybrid has a warning message that comes up when regenerating the dpf...hence I keep engine running until it is finished....why aren't other manafucters doing similar? If I'm driving steady speed and pace, flat road, if the instant mpg drops to 20's or less, without reason, a regen is happening. As you expect the person driving the car daily can feel the engine a bit heavier, easy to spot. For sure a warning light would be better, but just imagine the queue of LRs and Q7s at the dealers when such warning pops out? People don't read manuals, don't use common sense. At least I hope the electric cars would somehow simplify the ownership of a vehicle. One can only hope. If my current CRV does an active DPF regen, it is almost impossible for the normal motorist to tell. I don't do short runs and have only noticed mine doing it twice in the three years I have had mine. I was a car mechanic for over twenty years. If people own vehicles that require more frequent oil changes then do them yourself. It's not rocket science and a couple of cans of decent oil and a filter won't break the bank. I agree, but I must understand his position. People walk in a LR, Mercedes, BMW or Audi dealership and ask for the biggest vehicle they can buy to impress the neighbors or the other mums at the school run. When they notice that such behemoth needs at least a V6 petrol for decent pace and refinement, they choose the diesel, because they are too clever and truly believe that they'll save money. So... when they have to change oil 3, 4, or even more times per year, or eventually had a engine fail, the so clever choice for a diesel doesn't look likely. Then they decide to ask HJ, expecting his support to fight back the dealer/manufacturer. At every occasion when my partner visits the Mercedes dealer, it's so much BS said by them, and even being ridiculous, guess who someone loyal to the brand listens? Correct, the salesman who advise a flashy AMG low profile for a long commuter driver, who insists that a vibrating noise from the dashboard when the air con is on is "characteristic of that model", and so go on. As it isn't my money, I try my best to don't laugh. Sorry, but no sympathy. I just bought a diesel, drive 12k miles per year, but no shorter than 10-12 miles per trip. Let all regens complete, allow the increased rev (when starting the engine) to complete (Mazda feature in 2.2D CX-5), spend extra on Vpower diesel, and check the oil every week. Previously driving a 1.8TSI Leon, the requirements were minimal, but choices. Live with them. Tales of woe after completely believing the sale hype at the dealership or 'official mpg figures' and why they should only be used to relatively compare cars only, not what you'll get once you buy it, and why they should get their money back even though a short bit of (easy) research would've saved them from all the grief. I think he is starting to believe he's talking to a proverbial brick wall. He's not the only one either - we on the forums are seeing more and more of these idiots, plus many of the 'I want to buy a 10-15yo German sports saloon for peanuts' thinking it'll be a 'safe buy' and 'cheap to run' for their average to low annual, urban mileage, especially if its a diesel, as it gives better mpg than a petrol engine...(and they haven't budgeted for repairs, insurance, yadda yadda). Its like the nation has got more stupid in the last 20 years. I can see why so many professionals (like myself) and comfortably-off over 50s are emigrating in such large numbers, especially if so many of those under 40 think the likes of JC (no, not Clarkson, the OTHER ONE) are the second coming. Every week, without fail, we read of horror stories of VW and Audi cars yet the general public still believe in all the rubbish about German car reliability and quality. When will we Brits ever learn? Incidentally we hardly hear of these stories from Skoda or Seat owners, even though the cars are virtually identical except for the styling. Audi's are even made in Skoda factories. Is it because they are truly better than VW and Audi cars, or is it because the owners are so ashamed that they do not want to publicise their car problems? My worst ever car was a Passat which nearly killed me when the fuel shutoff valve failed on the motorway and which spend half it's life in the VW garage. I went to Honda and Toyota since then and 20 years later had never experienced a problem except having to replace a air conditioning high pressure pipe! My current Toyota Avensis is 11 years old and 135,000 miles on the clock, gives me 55 mpg and still on original battery, clutch and exhaust. Never missed a beat and still runs like new.